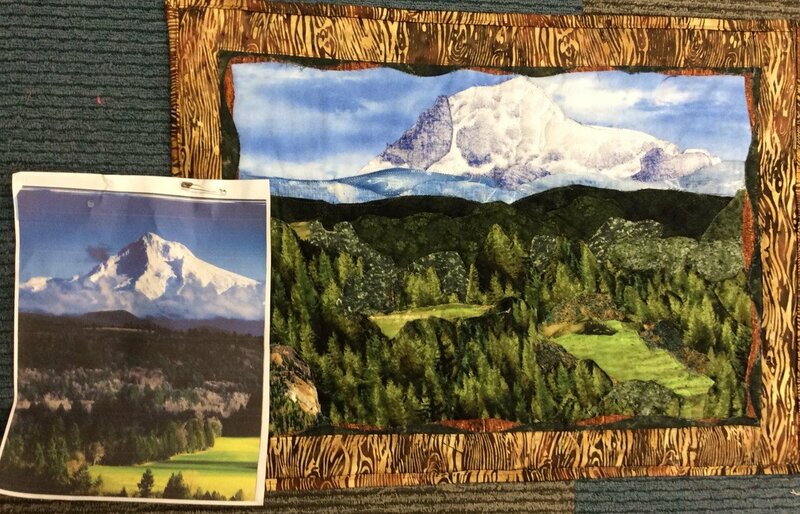 Make a fabric landscape wall hanging using a photo of your choice. Calendars, your photos, or any other picture of your choice can be used. Final size will be approximately 20" X 15". Barb will help you design a landscape scene from a picture. This technique uses raw edge applique. You must have taken Beginning landscape 101 prior to taking this class. Sign up with a friend and you each will get $5 credit to the Electric Needle.